In 2017, the Australian government issued a directive to drive innovation across the nation. The 'Australia 2030: Prosperity through Innovation' goals aim to create a society and economy that, the government hopes, will see everyone in Australia thriving by the end of the next decade. One of these goals was to ensure education responds to the changing nature of work as technological process marches forward; to equip students with skills that will be relevant for the future of work. That, coupled with feedback from employers who are eager to hire STEM graduates but struggle to find young professionals who are ‘business ready’ inspired the Australian Graduate School of Management (AGSM) at the University of New South Wales (UNSW) to create a new program. Their brand-new Master of Management program aims to marry the hard skills of recent STEM grads with the so-called 'soft' skills and leadership potential that business education has to offer. 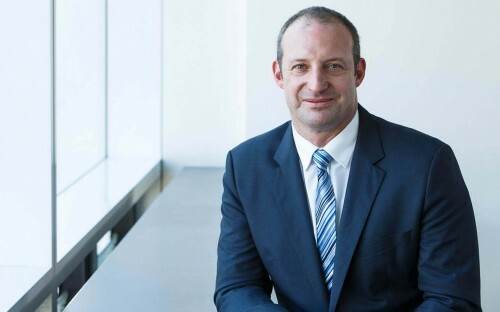 Nick Wailes, the director at AGSM and deputy dean of UNSW Business School, thinks that now is the perfect time to introduce the program to the school’s roster of courses. “One of the most important things that has become obvious to us is that, increasingly, innovation is an important part of business competitiveness—particularly the ability to effectively leverage technology,” Nick says. This kind of technical ability is what STEM graduates—that is, students of sciences, technology, engineering, and mathematics—have plenty of, but frequently, Nick says, AGSM’s corporate partners report that they don’t have the other makings of a successful businessperson. The aim of the new AGSM Master of Management course is to close this skills gap and produce graduates that have both the soft and hard skillsets to succeed in any area of business. This is done through a combination of traditional and more innovative teaching. One of the primary goals of the course is to deliver teaching on business fundamentals such as finances, economics, and marketing, giving students the high-level communication and leadership skills to jump into a high responsibility role. For instance, the first module in the program is entitled ‘Managing Yourself and Others’ and teaches students how to identify and influence their leadership journey. “It’s really about equipping recent graduates with an understanding of how they can be effective—where their areas for development are, but also how they productively and effectively engage in the teams they’re working in,” says Nick. However, at the Australian Graduate School of Management, this traditional teaching is combined with more forward-looking modules that bring attention to the changing concerns of corporate managers. For example, students cover business and data analytics, feeding into an over-arching attention to digital strategy. These courses aim to leverage the technical skills that students already have and marry them with a practical understanding of how these technologies influence business decision-making. “We have a subject called ‘Managing With Digital Technology,’ which takes students right from the very basics of coding all the way through the tech stack,” Nick explains. But it’s not just the teaching that benefits STEM students who undertake business education at the Australian Graduate School of Management. Not only that, but much like many post-experience MBA courses, the course is capped off by a three-month internship that is equivalent to two modules' worth of credits. This offers an opportunity for students to put theory into practice—and maybe even land their dream job. Find out more about the new AGSM Master of Management program starting in session one 2019.